AdSense is powered by Google so everyone thinks that AdSense is only way to monetize their blog but this is a misunderstanding among the all new bloggers because they don't have knowledge about some other fabulous websites for monetize their blog. Below mentioned all sites are top websites for monetize blogs without help of AdSense. You can earn a good amount of money from these alternative of AdSense. all these websites which were used in your blog instead of AdSense called AdSense alternatives. Media.net is an AdSense alternative for placing ads on your blog or website. This is an genuine website with an low minimum payout amount of $100 as in AdSense. 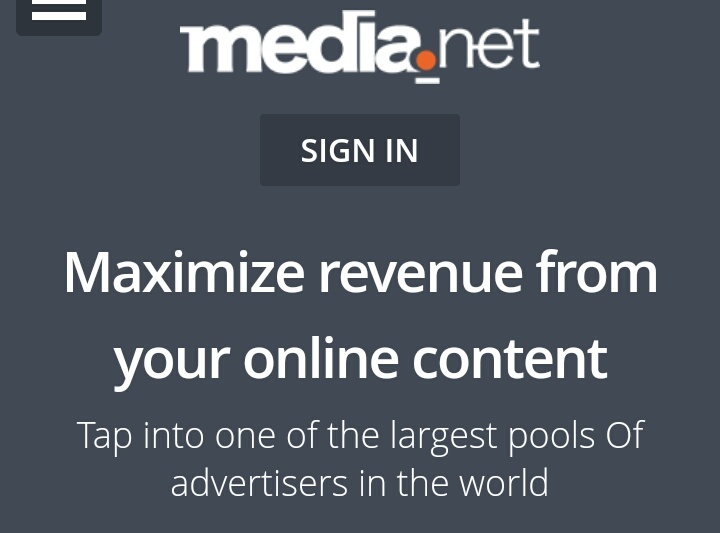 Media.net have a great feature of contextual ads( reliable ads according to your content on post)on every ad placement. Thier are no impossible terms and conditions for applying in this programme. You can easily get access on media.net after applying for it. Media.net just require some basic information for giving approval to your website. You can use this AdSense alternative with Google AdSense ads at same page. Media.net transfer your revanue by wire transfer and multiple digital wallets. Amazon native ads is powered by amazon.com( an e-commerce website). With the help of this website you can monitize your blog and website. This website is very easy to use and you don't have to wait for earning while using this.this website pay you when you reach minimum payout of $10. This alternative of adsense also give affliate service along with native ads. This website is full of different ads type and design. Use affliate marketing with native ads to increase your blog revenue. Amazon cpm is a option in Amazon associate. This is an additional feature of this alternative. In this option you will paid for every impression on placed ads. Infolink is an fabulous website for small websites. This adsense alternative make a high respect among all the publishers who use this for monetize blog and website. 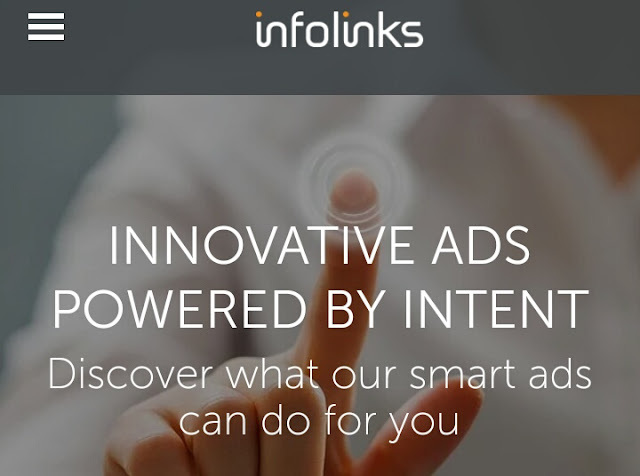 Infolink is an real paying website with low payout amount of 50$. For using this you only have to go on Infolinks and have to submit your website's url. This is an adsense alternative with high cpc rate and low payout amount. Info links will pay you on cost per click method. Small bloggers can also use this website for monetization because of its low requirements. This is the most popular adsense alternative in all world this is totally different from others. Because this website based on affliate but work like adsense. Commission junction will gave you to work with world top advertisers. You can directly send request to thousands of top advertisers direct. You will paid for every referred visitor. This website manage about 2900+ top advertisers and millions of publishers. This adsense alternative is best for tech blogs because on these type of blogs this website ads works good. Low payout amount, high revenue,big commission, and great service make this better then others. Doubleclick is an updated version of Google AdSense. In this AdSense alternative you can work with your favourite brands. This website provides you a huge long list of advertisers. You can choose any advertiserfrom the list and you will be paid for placing ads on blog content. This website is powered by Google so there was no question about its privacy and protection. You can link your adsense account with your double click account. This is more profitable for small bloggers because you can earn from two sides from one single blog. 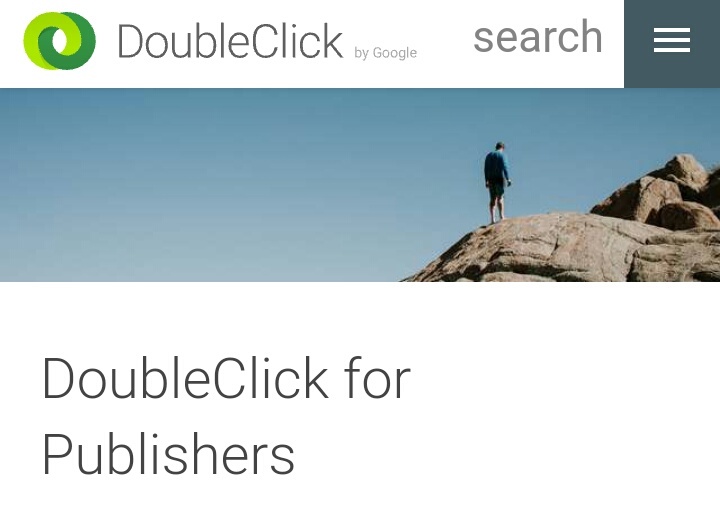 Minimum payout amount for double click is same as google adsense. We can say that this is a part of google adsense but it's works with different style from that.